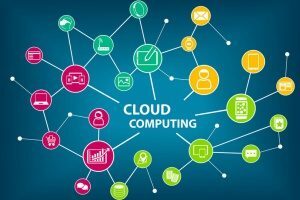 One technology trend in 2018 that is important for small companies to consider is the growing movement toward utilizing a hybrid cloud in order to reap the benefits of both public and private cloud computing for their business needs. In this blog post, we will discuss what public, private, and hybrid cloud deployment models are, the pros and cons of each, and why your small business should take advantage of a hybrid cloud option. To understand why your company should move to a hybrid cloud model, it is helpful to take some time reviewing the benefits and drawbacks of public and private clouds since the hybrid cloud is a combination of both. The public cloud is what most people are familiar with when thinking about the cloud in general. In this cloud deployment model, infrastructure resources such as servers and storage are owned and operated by a cloud service provider, which performs these functions at an offsite location. Companies using the public cloud have access to their business applications and functions using the internet, but the hardware, software, and the infrastructure that secures and supports them are owned, managed, and operated by the third-party cloud provider. Businesses use the cloud for a variety of functions including data storage, email, business applications, and testing and development. Popular public cloud providers include Amazon (AWS), Microsoft, Google, and IBM. As described in previous blog posts, when your company is on the public cloud, you are sharing space with other companies that are also using the services of the cloud services provider, much like tenants renting apartments in a large building. With the relatively affordable use of the public cloud, companies don’t need the same amount of dedicated IT resources or equipment nor do they have to worry about maintenance costs. In addition, the use of the cloud eliminates the need to purchase new hardware and software. As a result, overall IT costs are lower and specific to what your company actually needs and uses. With the massive amount of IT infrastructure available through the public cloud, companies can easily scale up their IT resources as their business grows and their IT needs increase. The public cloud provides the IT resources needed to accompany growth and changes in business operations without any risky or costly investments. Since their business depends on keeping their customers’ operations running smoothly and constantly, you can rest assured that your public cloud provider has the most updated cybersecurity tools and measures in place. In addition, they also have backup systems to protect against power failures and natural disaster. In the event of any worst case scenarios affecting your business location, they also have backups of your data that can quickly restore and resume your operations. The client has no control over the infrastructure or data at the cloud service provider location. All compliance issues and service level policies are mandated and enforced by the cloud service provider. These type of limitations are most relevant to companies involved in industries with strict compliance, privacy, or data control needs. The client has little control over network performance, which is dependent upon internet connectivity. If there is an internet issue at the office or with the provider, the company’s operations can be stalled or frozen with costly implications. In comparison to the use of a private server or a private cloud, the public cloud has weaker security because of the shared use of infrastructure with other companies, which increases the chance of malware issues. In addition, the public cloud is not designed for the customization of resources or services, which can be limiting for some companies. As its name suggests, the private cloud model consists of a computing network used exclusively by a single company or organization. The supporting infrastructure can be located at the organization’s onsite location or can also be hosted by an offsite cloud service provider. In contrast with the public cloud, all services and infrastructure are maintained on a private network with all applications and solutions dedicated to one company. Using the apartment renter analogy to describe the private cloud model, it is as if your company is now renting the entire house or building with no other tenants. Since the private cloud is reserved for only one client, the network can be configured to provide extremely high levels of security without the danger of malware infections coming from shared infrastructure. As the only user of the infrastructure, the company will have high levels of controls for data, users, and information assets. When private clouds are deployed inside the firewall of an organization’s intranet, the performance level remains at a high level with maximum efficiency. When a private cloud is offsite, the company has exclusive use of some of the cloud service provider’s infrastructure, which also ensures a high level of performance. The network infrastructure of a private cloud can be easily customized to meet your company’s changing needs. Importantly, all security requirements and other functions can be customized to ensure that your company fulfills any compliance requirements. The private cloud provides companies with a high level of flexibility to meet security and compliance needs. The initial cost of an in-house private cloud is considerable and would also require the cost of dedicated resources to maintain the equipment in addition to hardware upgrade costs. The cost of an outsourced private cloud is higher than the public cloud because of its exclusivity and the enhanced level of services provided (as described above). Costs can also rise as they are often calculated per resource and are subject to change at the discretion of the cloud service provider. Companies sometimes find that they are locked into long-term contracts with their cloud service provider, which makes it difficult to end or change private cloud services. In addition, sometimes the contracted resources are under-utilized, which can waste precious capital that could have been better deployed elsewhere. The hybrid cloud deployment model has become increasingly popular as a result of the limitations of the public and private clouds discussed above. Using the hybrid cloud model, companies combine either onsite infrastructure or an outsourced private cloud with some business functions still operating on the public cloud. In short, the greatest advantage the hybrid cloud gives a company is maximum flexibility. For example, for high data, lower security needs such as web-based email, your company can use the public cloud. However, for sensitive information or anything critical for the business or for compliance requirements, such as financial reporting or a database of client information, your company can use the private cloud. 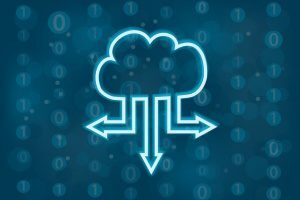 In order to overcome some of the data limitations of the private cloud, some cloud providers also offer an option called “cloud bursting” in the hybrid cloud model. In this scenario, an application or solution will operate in the private cloud under normal user conditions. When there is a seasonal (or other reason) spike in demand, the organization will have the option to use some of the computing power of the public cloud to ensure that their business will operate at its most effective and efficient level. The hybrid cloud combines the high level of security and control for the most important information assets that the private cloud can offer along with its ability for customization. The systems, applications, and solutions that do not need this higher level of attention can be separately maintained and operated on the public cloud. The hybrid cloud lessens the biggest weakness of the private cloud- the higher cost- by only applying this expense to the IT areas where it is needed. The hybrid cloud lets your company take its time in transitioning to the public and/or private cloud. This is especially useful for those companies that want to maintain some or all in-house private infrastructure and want to take their time evaluating cloud options for their most secure operations. In summary, the hybrid cloud offers the benefits of both the public and private cloud models while limiting the negative factors associated with both. 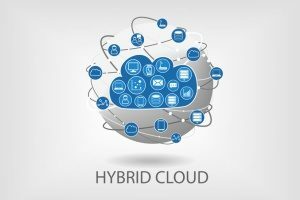 The hybrid cloud offers some valuable benefits that can help your company improve your business operations. We recommend you consult with a trusted IT Support partner, such as Network Depot, on the possible selection and implementation of a hybrid cloud model that would work best for your small business.